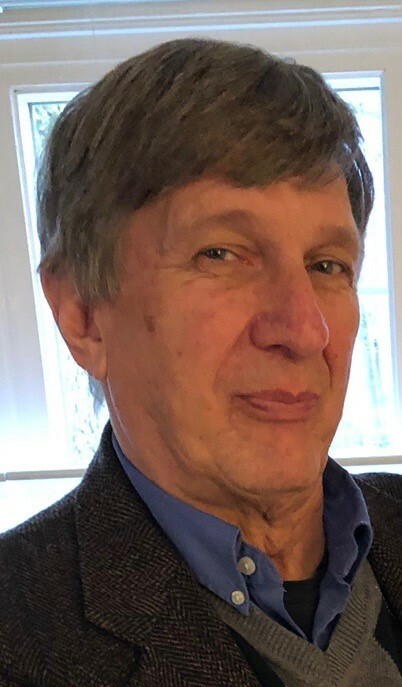 Richard William Nopper, Jr., age 70, of Wilmington, died on April 11, 2019 at St. Francis Hospital. Valedictorian of his high school, Rick went on to receive a B.S. from John Carroll University, an M.S. from Brown University, and a Ph.D. from Boston College, where he also taught two courses. After his first job at the Air Force Geophysical Lab, he went on to become an officer in the Signal Corps of the Army Reserves, a senior research scientist in exploration, research, and development at Conoco, a senior research associate in engineering and central research and development at DuPont and he ended his career at Chemours. A talented musician, he played in numerous jazz bands including Charles Hoefgen’s Dance Band and the Arbitrary Constants, a band he started at Chemours. For many years, he sang in his church choir and was a member of the Madrigal Singers. Rick’s wide-ranging interests included languages (especially dead ones), food (eating and cooking it and especially trying new things), and reading. He loved travel and photography. He was known by many for his sense of humor, quick wit, and kindness. He is survived by his wife Ellen, his daughters Katie (Joseph) and Andrea (Jimmy), his son Joseph (Laura), his grandchildren Izabella, Noah, Dominic, Julian, and JJ, his mother Jean, and his sisters Linda (Rick), Becky (Gino), and Mary (Hilary) and a large extended family. He is predeceased by his father, Richard William Nopper, Sr.
A Mass of Christian Burial will be held on Wednesday, April 17, 2019 at 11:00 am at Immaculate Heart of Mary, 4701 Weldin Road, Wilmington, DE 19803, followed by burial at St. Joseph’s on the Brandywine. Friends are welcome on Tuesday, April 16 from 6:00-8:00 pm at Chandler Funeral Home, 2506 Concord Pike, Wilmington. My prayers and deepest sympathy to all the family. I’m so very glad I met you at Vera’s funeral. You were easily the smartest man I knew. Godspeed. So sorry for your loss. Enjoyed visiting with Rick a few years ago ay our 50th High School reunion. A true scholar! Bob Daney St. Francis de Sales High School Class of 1966. Just heartbroken for the profound sadness Rick's passing brings to so many. May you all find comfort and peace in your memories. My heart breaks for all of you. I feel fortunate to have gotten to know Mr. Nopper and always appreciated his warmth and sense of humor. His love for his family was obvious. Sending light and love. We met Rick when our son, Joe, fell in love with Katie. Our son was blessed with wonderful in-laws and we were blessed with fantastic new friends. Rick and Joes' fathers' love of music made for many enjoyable gigs and concerts. We'll miss him terribly but know that heavens choir has become much richer. Our deepest condolences to Rick's beloved wife and family. Much love, Eileen and Joe, Sr. Nothing but pleasant memories. Met Rick when attending St. Francis. He was loved and respected by all. He was the "brains" of the class of '66 and one of the smartest and most unassuming persons I have ever known. I am deeply saddened to learn about Rick's passing. He was a wonderful person, an esteemed colleague at DuPont, a good friend, and a great musician. He was also my TechCon buddy at DuPont, even after he left the company as part of the Chemours separation, continuing to provide musical entertainment with the Arbitrary Constants. I just want to say that Heaven is probably a happier place right now, even though we may be sad here. Sing on, brother! Rest in peace, Brother Knight. Truly one of the most intelligent people I ever knew. It was great to talk with him at our 50th high school reunion. Rick and I go back to High School. We had the same last name, but never figured out if we were related for sure. He was the smartest kid in our SFS class of "66". I on the other hand was not quite so smart. In fact, when we applied to St Francis, I got his letter of acceptance and he got my letter of denial. They ended up letting me in and I am grateful for that. I guess if it were not for him I probably would not be where I am today. It was nice to meet his wife Ellen and talk with him at our 50th Class Reunion. Rest In Peace my long lost cousin! Charlie Nopper SFS "66"
Rick was as very special colleague at DuPont and a joy to work with on many projects. I will miss him. Rick was such a great guy! We sat and ate many a lunch together in E320 while laughing and sharing our lives. He was always so positive and encouraging.... and funny, when appropriate. We've only seen each other a few times in recent years due to our companies diverging, but I always remember Rick with real fondness. This breaks my heart to know the world has lost such a bright spot! But I have faith I'll see him again some day. Until then..... I'll treasure the memories. Prayers are with the family. My condolences to Rick's family and friends. Rick and I met at St. Francis where we were in several classes together. RIP Rick. Jim Lareau, SFS Class of 1966. Rick was a great guy. The microbial enhanced oil recovery team at DuPont used his experitise to understand the complex flow through an oil reservoir. He was the right person at the right time. His quick wit and accomodation personality provided much interesting conversation through the years that we interacted while working at DuPont. My sincerest condolences to his family -- he will be missed. Dear Ellen and family, I was so shocked and saddened to hear of the sudden passing of Rick. Please know your all in my prayers. I only had the pleasure of meeting Rick once when I visited with Dan, truly enjoyed his conversation, intelligence and wit! So sorry for your loss, prayers to Ellen & family. We were surprised and devastated to learn about Rick's quick and untimely passing. He was a gentleman, scholar, musician, and close friend. I heard him give a great talk at a conference and recruited him to move from Oklahoma to join our DuPont Applied Math Group in Wilmington, where he had a very successful career. He opened up his den for occasional rehearsals for a pick-up jazz group that became the "Arbitrary Constants", which he founded and organized, as well as playing as featured jazz pianist. That group played for dozens of events for DuPont and several of its successors and is still active. Rick was a wonderful human being, smart and sensitive, with a great (subtle) sense of humor. We were privileged to meet Ellen, his son and daughters, and even grandchildren, and send them our heart-felt condolences. The loss of such a great man, way too soon, may leave a gaping hole in their lives now, but we pray that faith and love can soon make them whole again soon. Jo and I want to extend our deepest sympathy to Ellen and the rest of Rick's family. Rick and I actually shared two careers together, one at DuPont as scientists and the other as musicians in the Charles Hoefgen band. Rick was a shining star in both. I always thought of him as the ultimate professional in his DuPont work endeavors, and, as a musician, I greatly admired (and even envied) his musical talent. The world will sorely miss this caring and talented individual. My sincere condolences to Ellen and her extended family. I met Ellen in my IHM parish afternoon tea group visiting Foulk Manor Nursing Home. The news of Rick's passing came as a shock. May him rest in peace. I've not met Rick, even having worked in DuPont CR&D for 26 years. I remember Rick well from my days at DuPont. Rick had a quick wit , a kind smile and a friendly word. I am deeply saddened to learn that he has passed. We lost someone who was respected by everyone. My sincerest sympathy to Rick's entire family. A memory that has made me smile for years, showing Rick's wry wit: At work one day I (Alicia) wore a jacket with a zig-zag print on it and with it wore a matching zig-zag lapel pin and zig-zag earrings. At lunch in the E320 lunchroom that day, Rick, with a wry smile and that amused twinkle in his eye, said, "You look like you had a run-in with Zoro!" For years afterward, whenever I wore the jacket and/or jewelry, I would laugh and think, "Looks like a Zoro day!" Ellen, please accept our deepest condolences for you and for the entire family. We will always remember Rick's intelligence, musical talent, and his great wit, as well as his kindness and his deep love for his family. We will miss seeing him in the choir at church, and we are sorry that God has called him home so suddenly. God bless you and your family at this difficult time. I had the pleasure to have worked with Rick for several years at DuPont. He was a man of rare intellect and skills. A true gentleman. We are poorer for his passing. Ellen and family , We are saddened to hear of Ricks passing and know he will be greatly missed. He was a good man with a strong family behind him, may he Rest In Peace. We were so sorry to hear this sad news. Rick was a wonderful, interesting person and we are so happy we had the chance to get to know him a bit. Our heartfelt condolences. Condolences to the Family. Rick is one of our class's shooting stars, brilliant, leaving a warmth or after-glow in his path as reflected in his family and his many friends. I enjoyed a visit to his ham radio set up one day in high school. Gifted and Giving as few are and do. Rick led the way his whole life and probably continues to do so. We were classmates in grades 1 through 5 and through high school. Rick was one of the guys who made me glad to have attended the 50 year reunion. Many have commented about his unmatched brilliance but I also remember us crawling along the neighborhood on our bellies "reenacting" Civil War battles in the 4th grade. I'm proud to have known you brother Knight and wish your family well. I worked with Rick for several years at Dupont. He was a wonderful person, a pleasure to work with, and one of the nicest people I've met. Please accept my most sincere condolences.